Figured I would get the hands-on thread going to augment the rumors thread that has been going. Epson HC5050UB has started to get into customers' hands on the eve of being officially announced next week on April 9th. I posted a quick video of my test bench I will be using to review and compare to BenQ's new HT5550. Stay tuned. MidnightWatcher, sage11x, jpolachak and 5 others like this. Last edited by scottyroo; 04-04-2019 at 08:27 AM. You needed a few hours of sleep. Pretty sure thats the HT5550 on the table, not the 3550. Thats the shootout we're all looking forward to. At least I am. Been planning on buying the Epson 5050 for months, but now the HT5550 is in the mix, too. I'm itchy to get a new projector! scottyroo and Dferguso like this. I've collated all the reviews I've found, though most seem to non english based, though I use Chrome and a quick click and it'll translate. ezelkow1 and ckronengold like this. Wow this is awesome! Thanks! I am eagerly awaiting this shootout to buy my next projector. 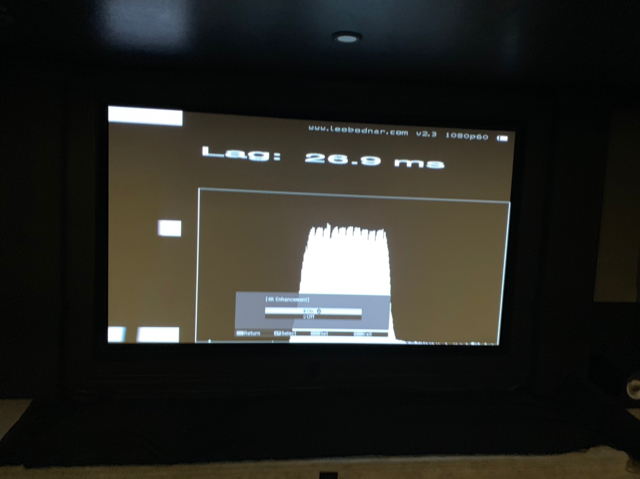 I have a 103" roll down Vutec screen w/ Vu Flex Pro material driven by an Optoma HD25 projector that drops in front of a Sony XBR65X950B from back in the day so contrast has been my weak point on the projection side. I am 50/50 game/movie usage guy but play alot of twitch shooters. I am a dealer and have access to all 3 and could get them within a week of each other. What are you waiting for? Get them all, try them all, send two back.......no? Where are his calibrated settings? I could not find them. Stable 26.8-26.9ms on both HDMI 1 and HDMI 2 with 4K enhancement on and off. Interestingly, input lag results on both “image processing fine” and “fast” were identical. I am testing with a 1080p Bodnar from the middle of screen. Several European review outlets have the 4K Bodnar device and are testing at 22ms of input lag in 4K HDR. This is VERY good. 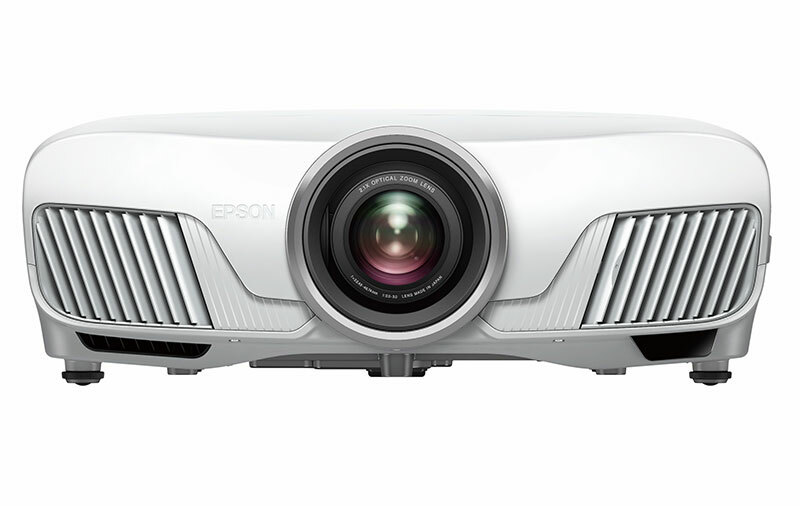 The Epson 5050UB is the fastest input lag from a 4 million pixel HDR projector (or any shifter for that matter) we have seen. The Optoma HD27HDR is the fastest 1080p (2 million pixel) HDR projector at 16ms (effectively zero. 16ms is the floor for 60fps and the optoma can technically do 8ms in 120hz mode). The BenQ TK800M is the fastest 8 million pixel ‘true’ 4K HDR projector at 42ms (that costs under $5,000). If they can afford the cost of entry, gamers will be happy with this guy. The Epson has two main methods to adjust this. There is the more well know RGB Offset / Gain control in Custom. There is also a special Grey Scale section. This has RGB+/- for 8-1 levels. The projector also shows the grey scale levels or you can press <enter> and it shows the background. I use Offset / Gain to move the RGB tracking levels to the best overall, Slightly low at black (1) because there is only gain and slightly high at white (8) because there is only cut. If you use HCFR for this, you can type 8 into the preference box rather than use the more common 10 step process. Used to correct the colour component. There is Hue, Saturation and Brightness (Luminance) for each of the Primaries and Secondaries. Roughly hue is how much of the colour there is, Saturation how much grey and Brightness how much white. The first two move the colour on the Gamut Chart (colour space) and Brightness is involved with lumenance error. All three impact on the overall error Delta e.
Does the the size difference factor into the Benq 3550 and 5050 comparison. The main thing keeping me from choosing Epson as my projector is the overall size of it. It seems enormous. For some, yes. The HT3550 looks like a pick projector next to it. I’ve implemented your HDR settings. I must say, the most noticeable difference in the image was the depth effect and realism. Well done. Another quick one - your dark mode HDR settings with the P3 filter engaged is great but the SDR settings don’t translate well to HDR for obvious reasons. For the use case of watching HDR content in ambient settings or for brightness preference ... are you able to put together an optimal settings list for an HDR mode based on Natural/medium or high power consumption? Now that the image is getting dialed in on the Epson, at some point can you test to see if the BenQ 5550 or the 5050 has the better image from 8 feet away? I have a 150 inch 16:9 screen and my front row is ~8 feet from it. The front row being so close to the screen is why I want to upgrade to a 4K or a projector with 4K Enhancement. Projector: Benq HT5550 || Screen: 150" Elite Screen 16:9 || Fronts: Martin Logan Motion 12 || Center: Martin Logan 50xt || Sub: 2x Polk PSW 505 || Surrounds: Martin Logan EM IW || Atmos: 4x Martin Logan EM IC || AVR: Marantz 8012 || Consoles: Xbox One S, PS4 ||HT Enhancements: Seats from 4seating.com w/Sound Shakers and risers. I'm still working on calibration, it's been a bit slow because of the learning curve of this Projector, life and watching things! I also don't understand why you would want high? I'm on a 120" diag screen at -4 on the iris to get 16ftl which is on the top end of light recommendations, open does about 19ftl! I've seen almost no other settings about... A lot of the UK people get a calibrator in or do stuff by eye! Read slightly further down, they're on a link because of page space. I must be a fussy f’er because no way could I listen to the fan noise on high, middle in about as loud as I’d want it. I think the mode you will prefer is determined by how big the screen and distance you are projecting from, mine is a 100” screen from just over 3m so I can actually watch HDR of Cinema Digital with the HDR slider on 5-6 and ECO mode. BTW the settings @Alaric has provided work brilliantly for me because like him my room is a bat cave with velour on the walls to kill reflective light, admittedly I needed to make a few very minor tweaks due to smaller screen and projecting distance but overall very impressive. Alaric and scottyroo like this. Last edited by Luminated67; 04-05-2019 at 12:29 AM. The HDR accurate setting is high power mode! The filter significantly drops light output, also hence why I'm on HDR slider 2! I plan on working a Natural version for more light, brighter HDR.... And actually had a look last night, and pushing colours without the filter, is.... More of a challenge! Love it! I have a 160” screen I’m pushing which I why I needs brighter HDR image. Thank you for your time and hard work! By the way I used to live in the UK for a couple of years. My family and I just moved back in 2017. Caversham. We miss it like crazy and want to go back! Anyone know when the 5050 will be up for sale? It’s better. Much much better. You can call around - some places have it for sale. Hey Scotty, any change in the sound when using the 4k enhancement? I don't know if I am overly sensitive to it or the one JVC eshift I had was louder than others, but I had to return it because it was such of a distraction. I didn’t notice any change in noise profile or volume. So I've been waiting on this model release ever since my very old optoma went out around Christmas time. I've seen here several members get their hands on these....is this possible for the general public? I asked the AV guy I've used to help setup speakers, receivers, etc to check, and he said he called Epson today and release was in a month. I pointed him to some of the posts here and he said "that's AVS forums - they're not alway accurate" . ! 2. Will dealers be able to sell under MSRP?